Every Greek costume or better every Greek local costume is a set of clothing, featuring a group of people living in the Greek area. It works like any clothing: dresses and decorates the body, and presents the appearance that he wants to give the one who wears it that time to third parties, providing the self confidence and comfort. Within the conservative and strict society of the villages and the small towns, the certainty and comfort are achieved with uniformity that offers a uniform. The suit is based on tradition and conservatism and is radically different from fashion based on change. The conservatism in costume creates prohibitive taboos,and taboos that give magical qualities in some of the sections. The clothing of a conservative group formed at times by the influence of another stronger human team. But everything is relied on local materials and trade. 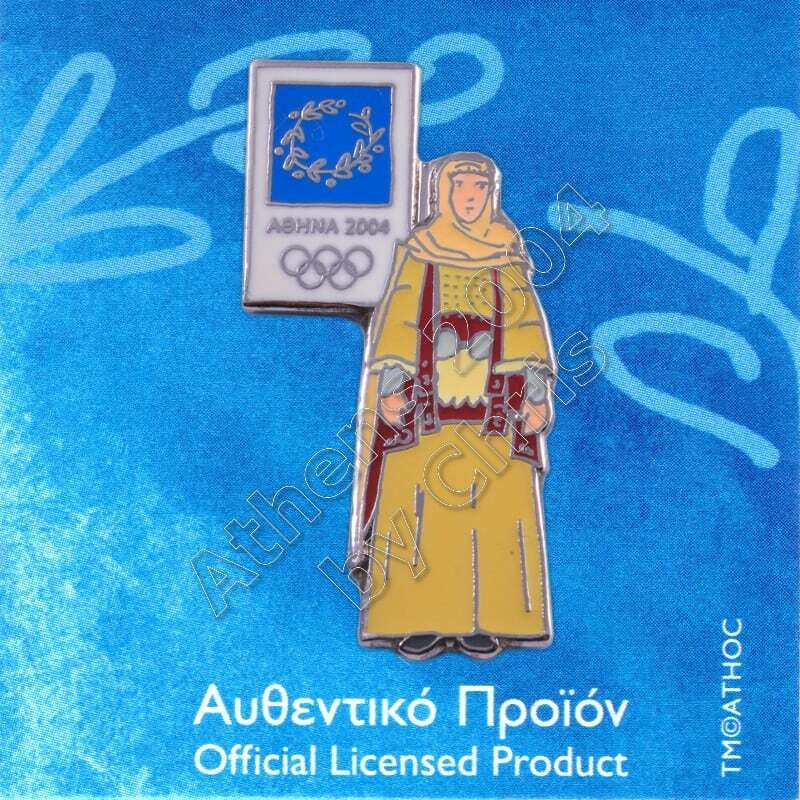 The collection of Greek Costumes includes 6 pins: Attica Costume, Soufli Costume, Kapoutzida Costume, Tanagra Costume, Paramythia Costume, Chalkidiki Costume. The Attica Costume, which was named Mesogeia,was worn in several villages of Mesogeia while also observed in Thebes, in villages Megaridos, apart from Megara, and variations in Elefsina and Mandra. The mesogitiki recognized of the costumes with sigouni and is distinguished in everyday, bridal and festive. The differences are found in embroidery and fabrics. Differences also identify age and circumstance. 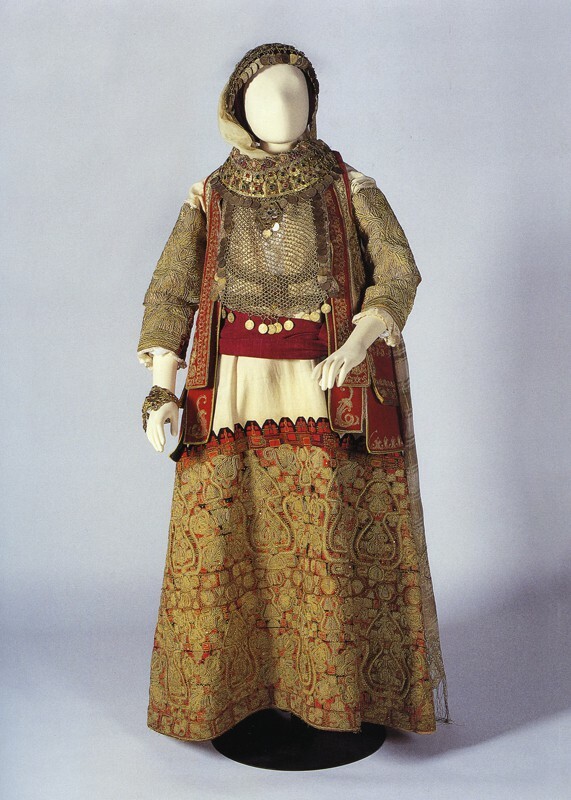 The festive costume mesogitiki greatly influenced the formal female costume of the Greek royal court, as established in the late 19th century by Queen Olga and the children’s costume of Vlahoulis.